Raise invoices, prepare quotes, manage customers and inventory items on the go with the Cashflow Manager mobile invoicing app. Use as a standalone app for invoicing or connect with Cashflow Manager Gold to sync data automatically and cut out manual updating of business records. 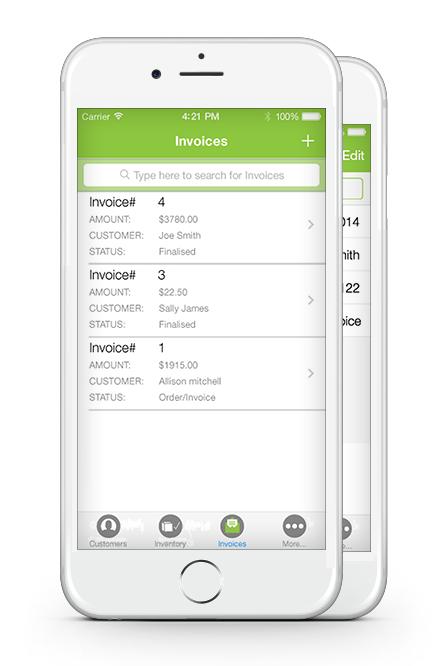 Invoice customers, record payments and manage accounts from your iPhone or iPad or Android device. Sync with your Cashflow Manager Gold desktop accounting software and completely automate your record keeping. Best of all: the mobile invoicing app is completely free. Download now on the iTunes or Google Play store.